**Features two tracks exclusive to Boomkat: Poirier ft. Mark Pritchard and Untold remixing Zero dB!!! 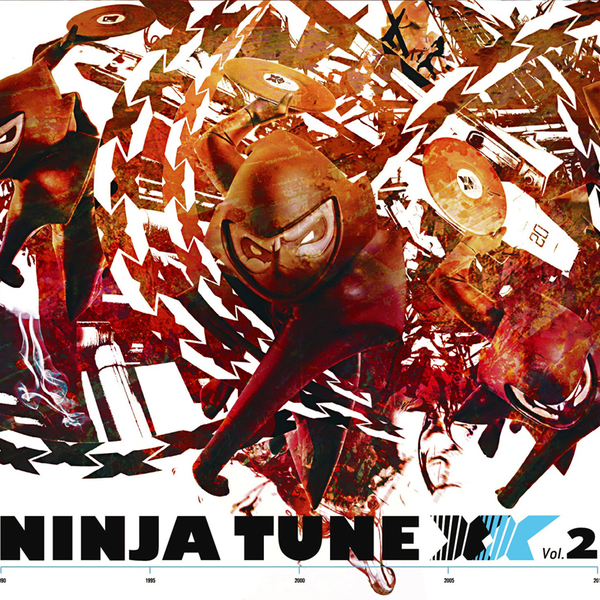 ** Another double-disc helping of new and exclusive material from the Ninja Tune camp as part of their 20th anniversary celebrations. The first disc of this collection features exclusive new recordings by Coldcut (feat. King Jammy), Bonobo (with Mercury winner Speech Debelle), Jaga Jazzist, Amon Tobin, Cougar, Yppah, Lorn and Floating Points, plus brand new remixes by Gaslamp Killer, Mala, Tunng, The Cinematic Orchestra and Slugabed. The second disc proves to be especially impressive, yielding new and exclusive remixes from Autechre (taking on The Bug's 'Skeng'), Daedelus and the Kronos Quartet as well as one or two previously released gems like Four Tet's mix of Anti-Pop Consortium's 'Volcano' and Hot Chip's overhaul of Roots Manuva's 'Let The Spirit'. Additionally, brand new tracks by Mr Scruff, Daedelus and DELS make appearances.